A machine builder in the conveting and consumer products industry. The customer was looking to improve the positioning and speed control of their chain conveyor systems. In order to achieve this, they needed to replace the helical-worm gearmotors that were driving the conveyors with geared servo motors. The conveyor drive inputs are hollow hex shaped and require a six piece shaft adapter kit in order to connect the gearmotors. Finding a gearbox that could properly interface with the hollow hex input was the main challenge. 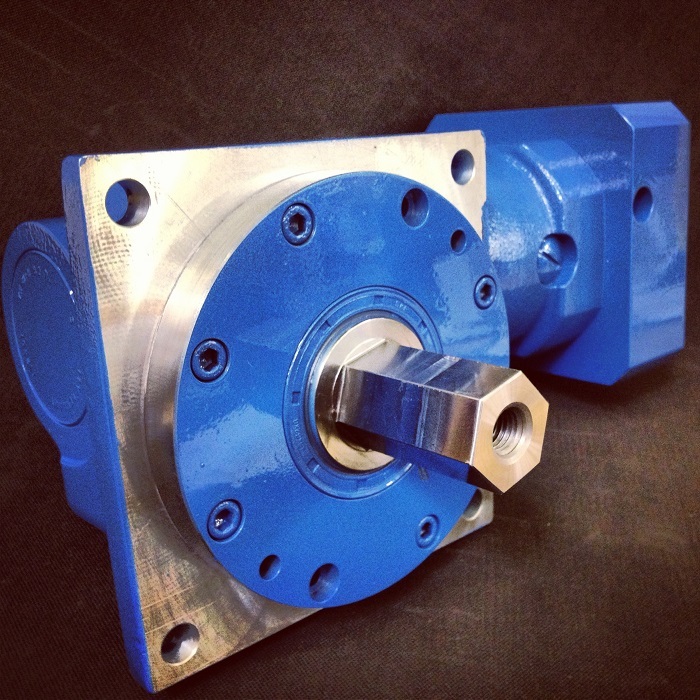 GAM engineers selected a Dyna-Lite right angle hypoid gearbox. 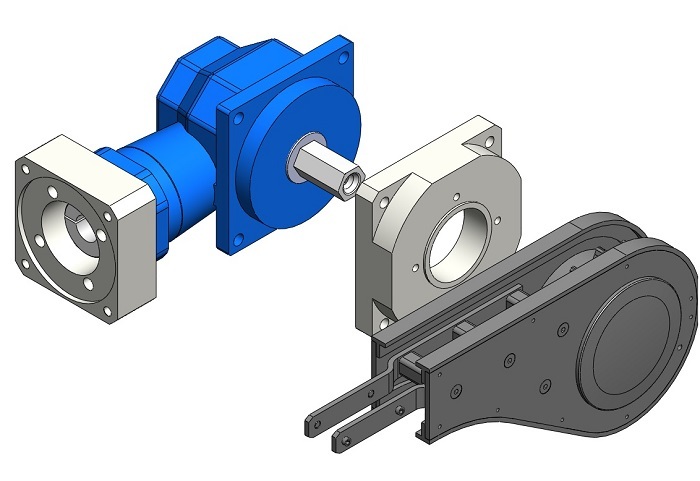 The output shaft was modified to a hex profile which allowed the gearbox to integrate directly into to the conveyor drive unit with just a single adapter plate. While GAM could have provided a standard Dyna-Lite with a hex shaft assembly kit, this solution eliminated five components, resulting in a more compact and easier to assemble system. Tapped holes on the conveyor adapter plate were also provided so that a structure could be attached for supporting the gearbox and motor. GAM is your complete source for Gear Reducers, Servo Couplings, Linear Mounting Kits, and other innovative products used in automation technology. With one of the largest product offerings in the motion control industry as well as the engineering expertise and manufacturing capabilities to develop customized solutions, GAM can help with your application. Being flexible to meet the needs of customer requests and great service are what set GAM apart from the rest. Need help on your application? Let us know.